If you know that Michael Sheen is a Welsh actor, then you should equally know that he’s popular for playing Tony Blair in films like The Special Relationship, The Queen, and The Deal. The BAFTA award-winning actor is also famous for his many roles in both theatre and film, including his role as Aro in The Twilight Saga: New Moon, and Lucian in Underworld. As of this writing, his latest movie titled The Voyage of Doctor Dolittle, wherein he portrayed Mudfly is billed for release on the 5th of April, 2019 in the United Kingdom. Disregarding his endeavors in the entertainment industry, Sheen is heavily involved in charity. He is the honorary president of Wales council for voluntary action and a patron of several British charities including Scene and Heard, Healing the Wounds, WGCADA, and others. The man captained the winning side of the notable charity football match, Soccer Aid in 2010. He took things a bit further in 2017 and founded a company that offers more affordable ways of borrowing which he named End High Cost Credit Alliance. In addition to all that, he serves as the vice president of the Royal Society of public health. If you check his records, you will find that the actor was born in Newport, Wales, to Irene and Meyrick Sheen on the 5th of February and in the year 1969. It is said that his mother was working as a secretary and his father was a British steel corporation worker at the time Michael was birthed. Apart from his parents’ normal work, they were also involved in theatrical activities and according to Sheen, it played a major role in shaping the man he has become. When it was time for Michael Sheen to further his education at a higher institution, he took a bold step and attended the Royal Academy of Dramatic Art (RADA) where he obtained a BA in Acting degree. Sheen first started out as an actor in the theatres in the 1990 and starred in his first movie, Gallowglass in 1993. It is not a secret that he bagged his first professional role while he was in his final year in RADA. He played Alexandros Eliopolos in Globe Theatre production of “When She Danced” and this was in 1991. The following year, his performance in Royal Exchange’s production of Romeo and Juliet earned him a nomination for the M.E.N. Theatre Award. A few years later (in 1995), he met Kate Beckinsale while he was working on The Seagull and eventually married her that same year. Even before the widespread global attention that Michael Sheen’s portrayal of Tony Blair brought him, he formed a production company which he named The Foundry alongside Helen McCrory and Robert Delaware; this was way back in 1998. Most people would agree that it was in the 2000s that Micheal Sheen started to focus more on film and, that his first major hit was in Heartlands (2002). Between 2002 and 2003, the actor kept an affair with both theatre and film until he got his big break in the 2003 movie, The Deal. His performance earned him a BAFTA and Emmy Award nominations and the actor has never looked back since then. Much more than just acting, he is now a director as well; Sheen made his directorial debut in the National Theatre Wales’ production of The Passion. Is He Related To Charlie Sheen? Contrary to popular assumptions, Welsh actor Michael Sheen is not related to American actor, Charlie Sheen. 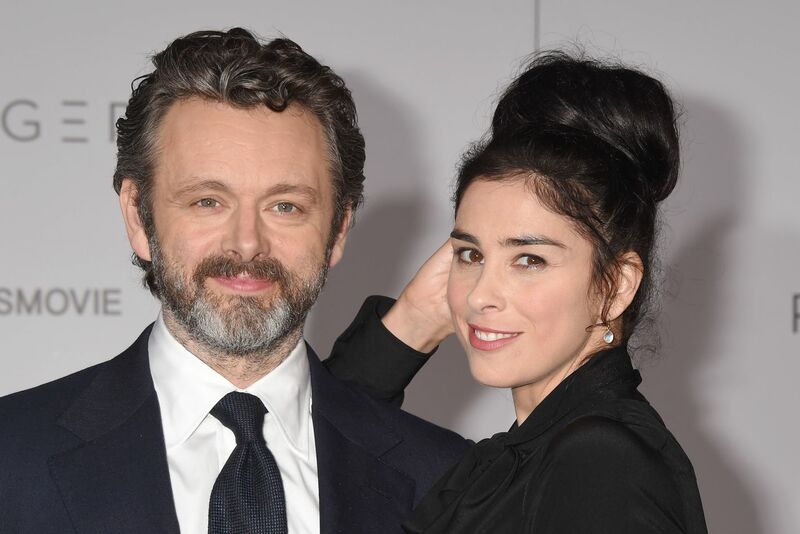 Michael Sheen once related that people have always assumed he is related to the American Sheen family. Stressing that this is not so, he disclosed that he had only met Martin Sheen – Charlie Sheen’s father – once and is yet to meet Charlie Sheen. 1. Did you know that Sheen’s first career choice was football? He was scouted and offered a place on Arsenal’s youth team at the age of 12 but he had to let it go because his family was unwilling to move. 2. In order to pay for University, Sheen worked in a Welsh fast food restaurant called Burger Master before he was granted the Laurence Olivier Bursary by the society of London theatre. 3. Michael Sheen was awarded an OBE (Order of the British Empire) in 2009. 4. He was married to actress Kate Beckinsale from 1995 to 2003 and they have a daughter together. 5. Sheen also date Sarah Silverman from 2014 to 2017. Rumors have it that they broke up due to the impending Brexit. Get the facts about that here.